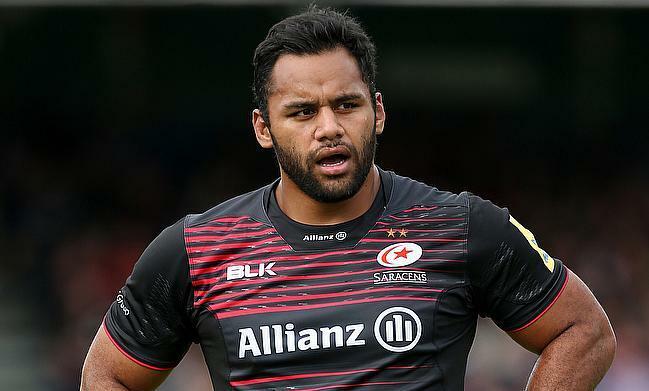 Billy Vunipola will come back stronger from the broken arm he suffered during England’s tour of South Africa, according to Saracens coach Alex Sanderson. Vunipola did not need an operation on his right arm which he fractured just two months after returning from an initial break sustained at the start of the year. "He'll be back in the week after next, not full training but rehab, said Sanderson. "Every time Bill's come back, he's been better for it." The 25-year-old has been plagued with setbacks over the last three years which include a knee injury which kept him out of the majority of the 2015 World Cup and a shoulder problem which meant he missed the Lions’ tour of New Zealand last summer. The Saracens man was also absent from this year’s Six Nations due to his aforementioned broken arm and it was the same injury which cut his series short against the Springboks last month. Sanderson added: "Every player goes through injuries and it's how you come out the other side that will determine the kind of player you're going to be," added Sanderson. "You either let the injury affect you mentally and physically and then try to get back to near where you were, or you use the time when you're injured to get bigger and stronger and faster to become a better player, cognitively-speaking. "Whenever he plays for any length of time, Billy's going to have a big season." Saracens begin the defence of their Premiership title away at Newcastle Falcons on September 2nd.